Surf Park Central and the SDSU Center for Surf Research are pleased to announce Surf Park Summit 2. The industry’s second ever Summit to accelerate the future of surfing outside the ocean. As we see it, the vision is clear: build authentic, sustainable and profitable surf experiences to grow the surf industry and provide the mental, physical and emotional stoke of surfing to those that do not have access to the ocean. To do this, the Summit will gather the industry’s top minds including surf park and surf pool developers, investors, operators, suppliers, academics, experts and athletes to discuss the opportunities and challenges related to the development of man-made surf destinations. For businesses this is a powerful opportunity to showcase your company’s services, products, technology and expertise to key investors, developers and influencers within the burgeoning surf park industry. Become an integral part of the rapidly developing surf park and man-made surf destination market and engage with the leaders in the field. 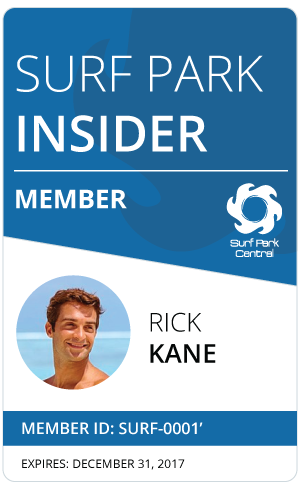 The very latest in surf park and surf pool innovations will be on display with pre-event, on-site and post-event media coverage via top tier media outlets including global digital, print and video coverage. The first Surf Park Summit was held in Laguna Beach, CA in September of 2013 with over 300 attendees from 30+ countries including 3 world surfing champions and a range of great speakers. Co-Founded by Dr. Jess Ponting of SDSU’s Center for Surf Research and John Luff of Surf Park Central, the event attracted global media attention including Yahoo! News, NBC, Forbes, ESPN, USA Today and the Associated Press. Over 100 combined TV, digital and print publications covered the event.